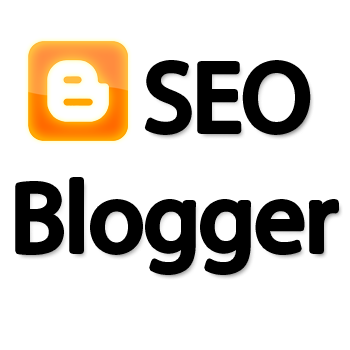 It is an established fact that blogs help boost SEO (Search engine optimization) rankings. Most businesses, these days, consider blogging as part of their online marketing strategy. Blogging can help achieve the desired rank for a new website very quickly, provided you are dedicated to posting the blog articles on a frequent basis. Although the main aim of blogging is to express one’s thought, search engine optimization is another purpose that can be attached with the practice. The recent trend has witnessed that the frequency of blogs has increased as it greatly helps get a better page rank in the search engine result pages. Most search engines crave for fresh content along with the snippets that provide information about the content in the blog. Updating your blog regularly can help you get the desired SEO results however, this becomes the most overlooked aspect of blogging. Regular updates of blogs makes the Googlebot come to your website, which then can be used to link to other websites, sub-domains and other links that you want to get crawled. One problem that often crops up here is that several blog postings do not have direct links to sites. To overcome this problem, you can format your blog with certain permanent links on the side. How to optimize your blog effectively? Most blogs have just a few areas, viz., ‘home’ page and ‘archive’ page that is used often for optimization purpose. You could also use other areas of the site to take the best advantage of SEO and make additional efforts for the same. The first thing that you need to do is to optimize your title. Optimizing the title primarily means giving a suitable headline and incorporating the desired keyword in it so as to get better page rankings. There are other ways too to optimize your blog effectively, such as link building, RSS, linking to social networking websites, etc. • Blogs allow more traffic from social networking sites such as Facebook, Twitter, etc. • Blogs usually have URL structure that is uncomplicated and easy for the crawlers or spiders to find. • Blogs that include information related to a product/ service can deep link anchor text to that information. • Blogs have category features which allow lots of content to reside in them according to their themes. This further helps search engines to understand the content and rank the website or web pages well. • RSS links to feed URLs which use blog domain name can help build link popularity and enhance traffic towards the website. • Search engines reward and divert more traffic towards fresh content. In other words, blogging regularly can attract the search engine crawlers as well as give credibility to your website, and subsequently to your organization. • Including ‘Comments’ section in to your blog can also divert traffic to your website as comments and trackback in blogs stimulate interaction. • Blogs also help to generate good and quality traffic via links and RSS. Blogging is a common trend for netizens these days. It’s an interactive gateway that helps people express their thoughts, ideas, views and expressions. It has become an essential marketing tool and can help the organization have better visibility in the online arena. Blogging these days, attract many internet surfers and is an inevitable tool for online promotion and enhance the visibility of a website. What Is the Best Type of Video for Your Business?